Entrance on Wilkin street; 3. property after the cenotaph. 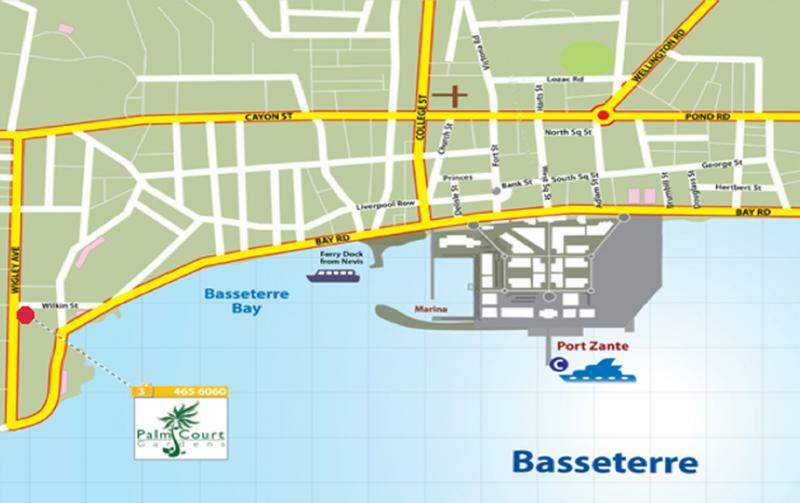 Walking directions: 12 - 15 min.﻿ from the Cruise Terminal. Following the ocean towards west (ocean is on your left side) until you reach a Cenotaph (war memorial). Cross the street there and walk up the soft slope, leaving the cenotaph to your left. The Palms Court Gardens entry is located already after about 200 yd. on the left street side. The Taxi fee from the Cruise Terminal to Palms Court is US$ 5.00 - 8.00, or US$ 3.00 p. person in groups.